The float ball is the small ball that sinks down when the tank empties with a flush, opening the inlet valve on the fill tube. As the tank fills, the float ball rises, eventually closing the valve and stopping the filling process. If the ball is misaligned or malfunctioning, the valve will not close and the toilet will continue to run. The refill tube is the component of your toilet that replenishes the water in the tank. Generally, the top of the tube remains above the water level. However, if the top of the tube sinks below the water level, your toilet may begin to run. The chain is the mechanism that pulls open the flush valve and allows fresh water into the tank. If the chain is either too long or too short, it can affect the toilet’s ability to flush by not allowing the flush valve to close properly. The flush valve is the component that needs to be sealed completely after each flush to keep water from leaking. Eventually, however, this component can age to the point of malfunction or begin to develop mineral deposits. Both of these issues can prevent the valve from properly sealing. The gasket is the seal between the water tank and the toilet bowl. If this part is worn out, it might allow water to run from the tank into the bowl. If you’ve run into this issue, it is important to schedule plumbing repair services ASAP. 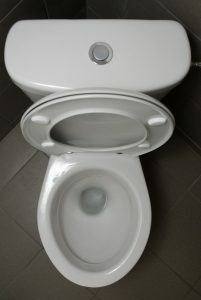 A running toilet can end up wasting gallons upon gallons of water, causing your monthly water bill to skyrocket! Plus, the environment won’t be too happy, either. An experienced plumber can accurately diagnose the cause of your running toilet and fix it before it causes any further issues. Of course, there are hundreds of DIY videos and articles online, but sometimes an attempt to save money can end up costing you more in the long run. Call a professional to get the job done right the first time. For all your plumbing needs, contact Snellville Heating, Air, and Plumbing. Your Comfort is Our Business.